Distilled at the North Mall Distillery in Cork City. 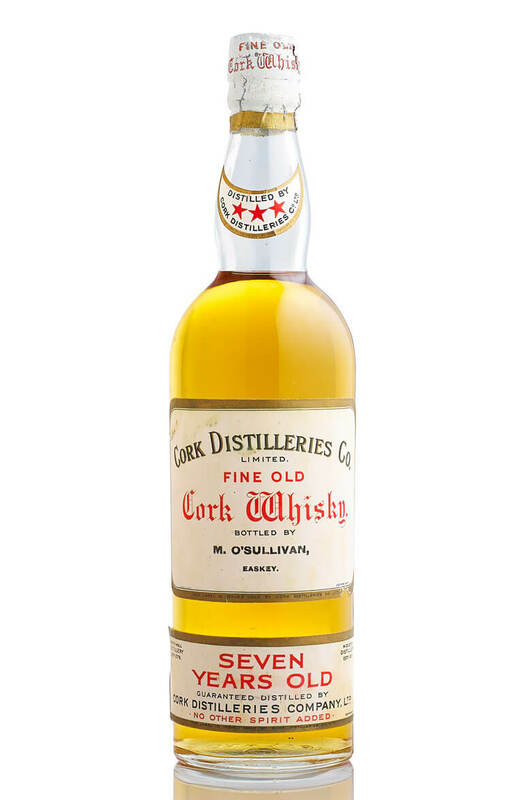 This is a rare old whisky that was bottled at 7 years old by M Sullivan of Easkey, Co Sligo. The bottle is in good condition but does have a very small piece of cork from the stopper floating in it! There is no statement of contents volume or alcohol strength. Distillery North Mall, Cork City.